It’s that time again, BACK TO SCHOOL! In the flurry of preparing and anticipation, it’s important to make sure you have the right products to carry you through the school year strong. 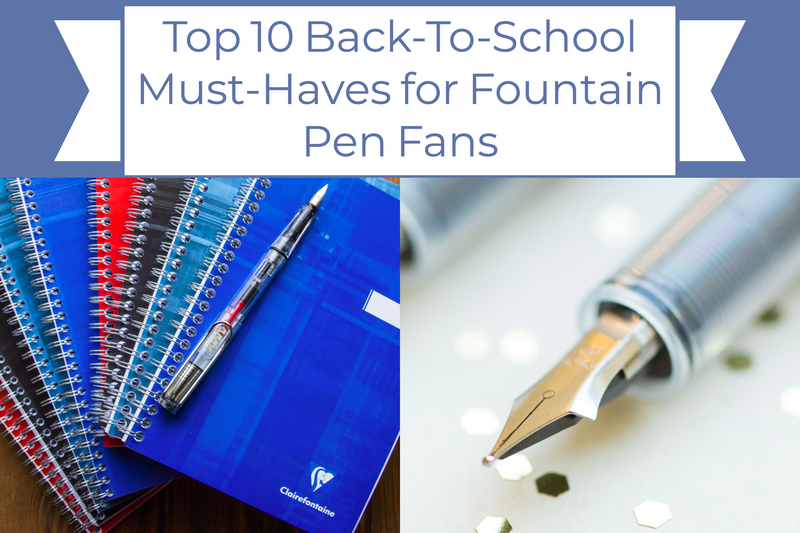 Check out our top 10 pens, inks, and notebooks below for some solid options for students, teachers, or anyone else looking to step up their supplies this autumn. You can find additonal suggestions on our Back-To-School roundup blog. 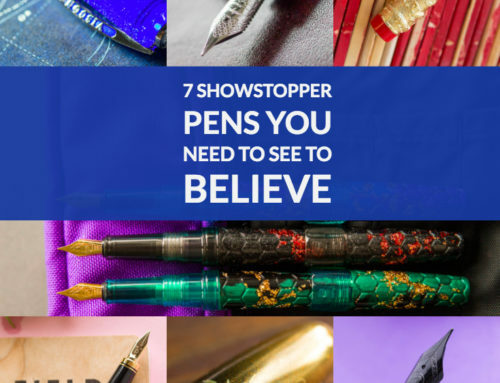 These inexpensive pens are the perfect knock-around pen for your bag. 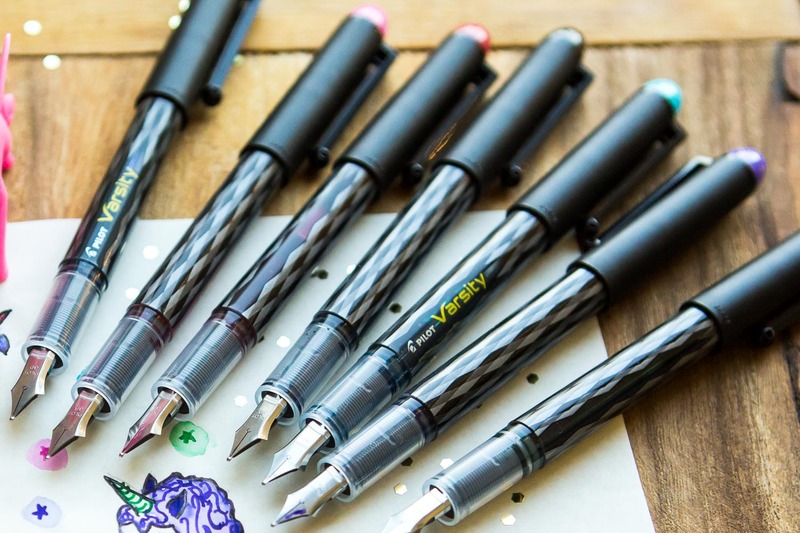 Whether you choose to dispose of them after the ink runs dry, or refill them with your favorite ink, the Pilot Varsity is going to carry you through all of your tasks. The array of colors in this variety park also offers the perfect opportuity for color-coded notes for students or a rainbow of grading inks for teachers. You have to track your tasks somewhere, right? Might as well do it in style with the LT1917 planner. Available in a plethora of colors, there’s sure to be an option that fits your style. The week view with opposing page for notes is perfect for reminders, assignments, tracking meeting notes, or any other task you could need. 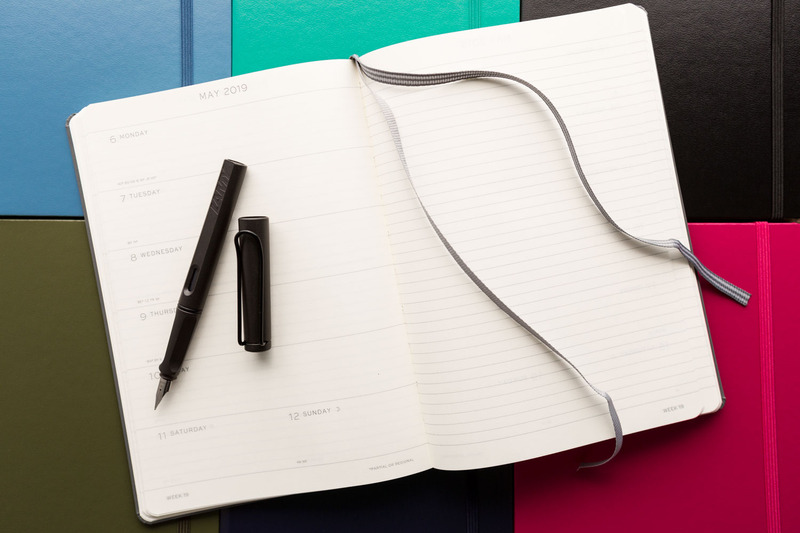 The perfect school notebook meets fountain pen friendly paper. The Clairefontaine Classic Wirebound is available in the quintessential 8.5″x11″ ruled notebook, as well as the slightly larger A4 size. 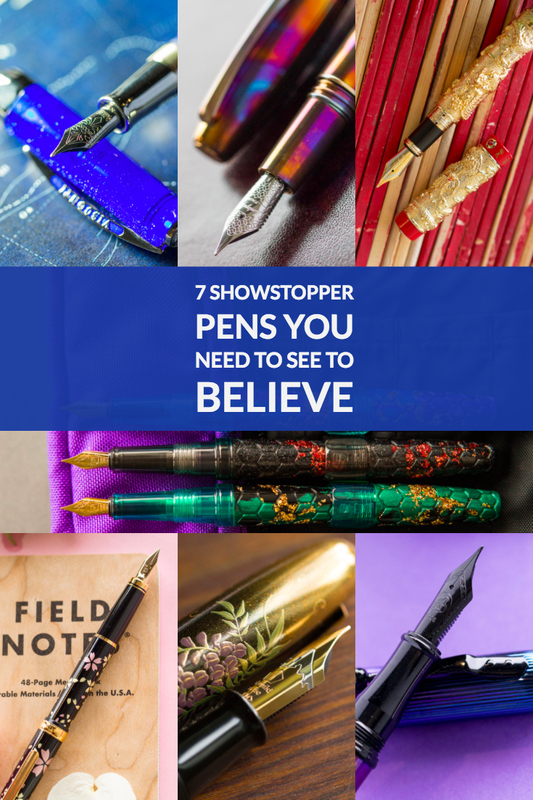 Most importantly, the paper that can handle even your wettest and broadest nibs. 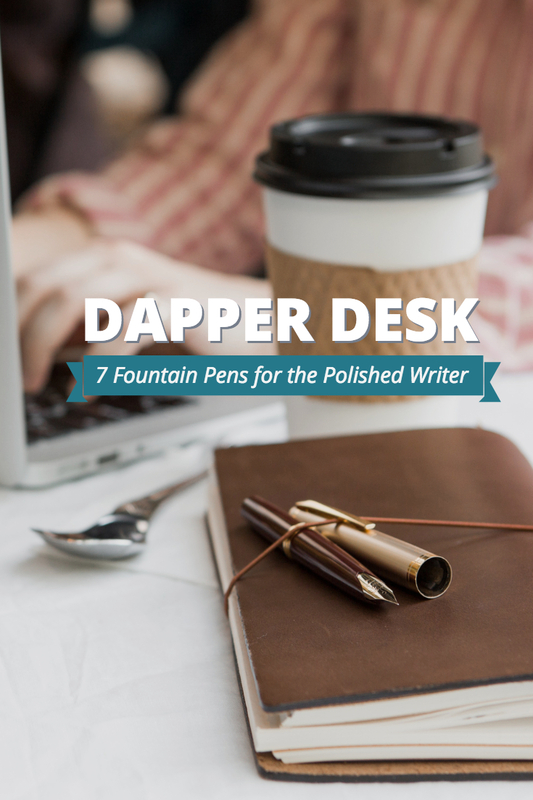 Use your fountain pens to take notes with confidence, knowing this notebook can keep up. For you lefties out there, the top wirebound Classic notebooks will save your hands from the discomfort of fighting against the wirebinding as you write. Doing your school work on the move? 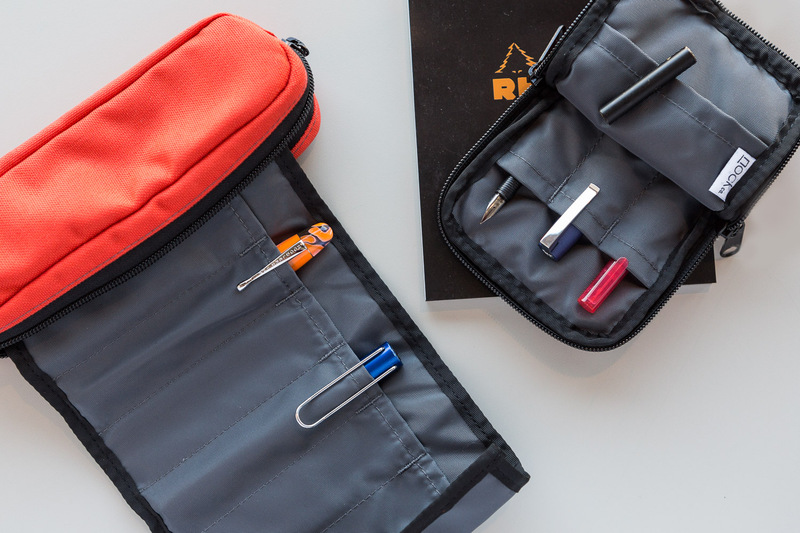 Tote your pens everywhere safely with one of these colorful and well-constructed Nock Co. cases. If you like to have a variety of pens, check out the Brasstown with its 6-slot roll out tongue inside a zippered pouch. If you like to carry a pocket notebook for quick notes, like reminders and to dos, take a look at the Sinclair cases, which have room for 3 pens and larger pocket opposite designed to hold a Field Notes sized notebook. 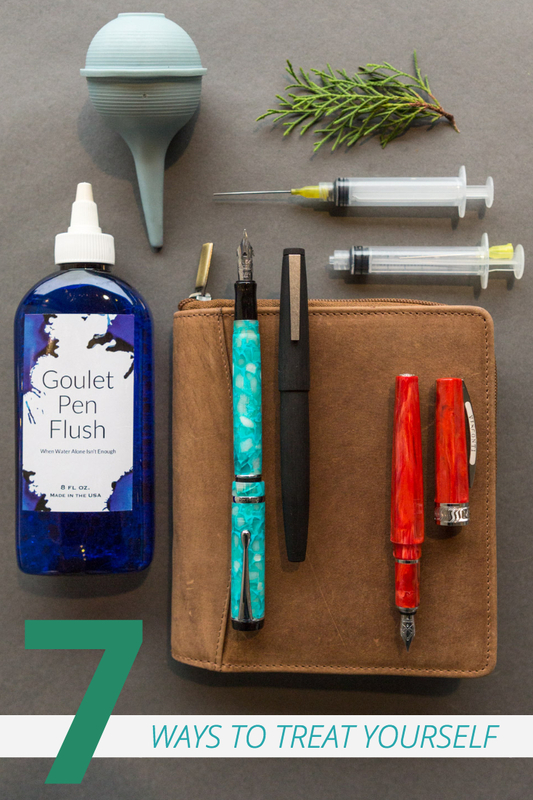 Don’t be afraid to slip a few ink samples in there either so you’ll never be without a fill up in your travels. So much fin… err… we mean fun! 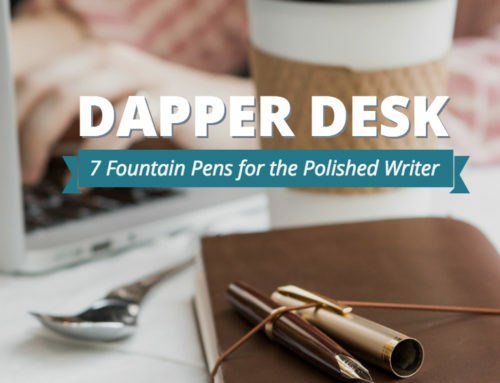 This affordable and playful pens feature an extra fine nib, ideal for keeping that ghosting and bleedthrough under control on less than stellar paper. 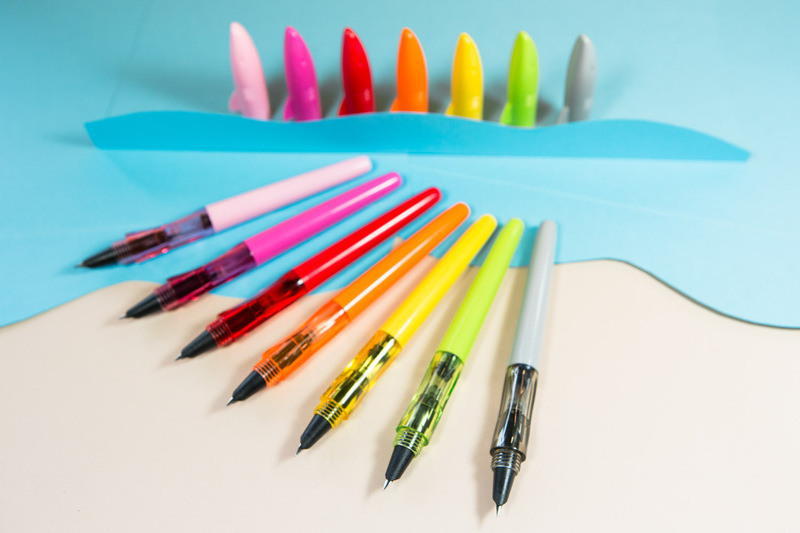 For less than $4 a piece, you can get a pen with a funky shark head cap and included converter! Choose from a whole school of colors and maybe even grab a few extras to share with the class. The perfect note taking pen with a huge ink capacity! 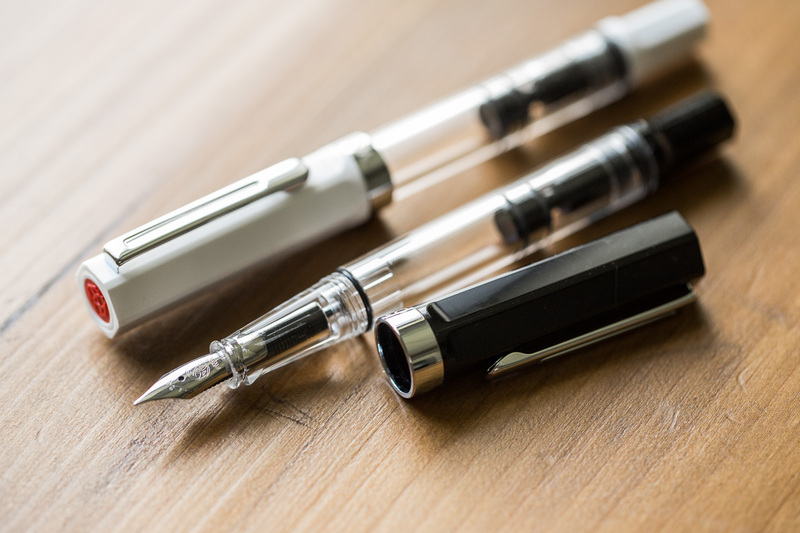 The TWSBI Eco is a favorite pen for first timers and seasoned veterans alike. This work horse pen is available in a variety of colors and has a hearty 1.76ml ink capacity. 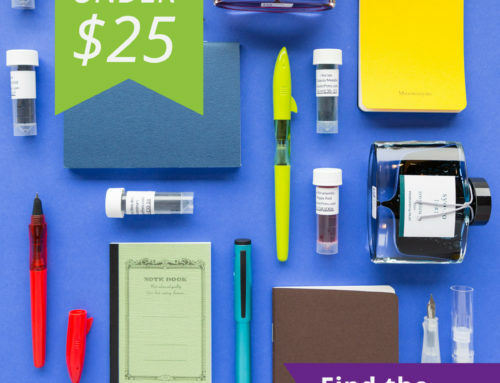 Couple this with the cap insert that better seals the pen to prevent nib dry outs, and you have a pen that will carry you through notes, grading, tests, report cards, and anything else that may come your way over the semester. 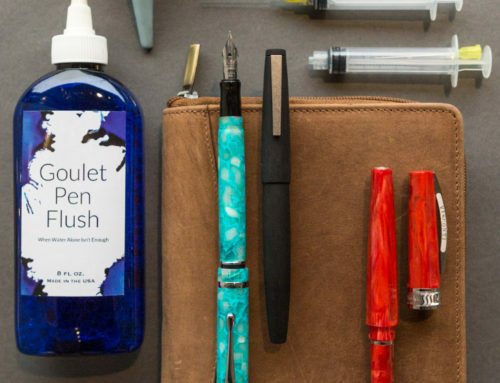 These fast-drying Noodler’s inks are great for jotting pages and pages of notes without smudging or fear of tearing the page before the ink is dry. 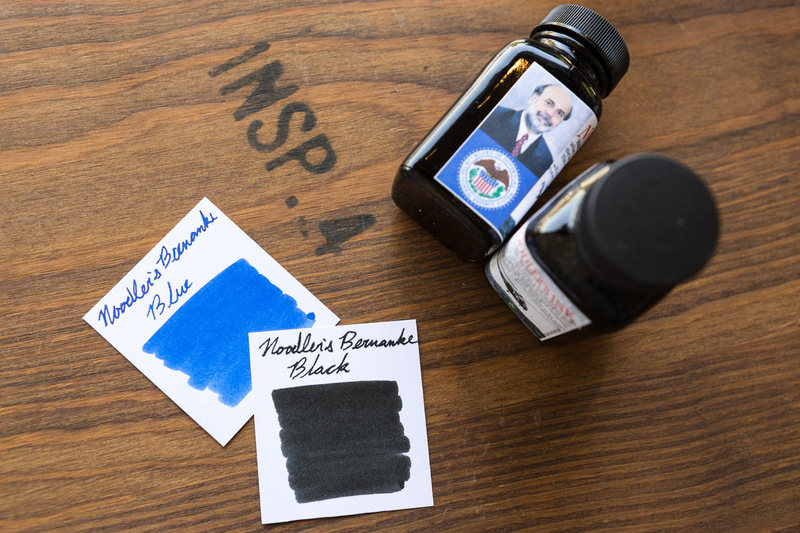 Whether you want the traditional black or a more vibrant blue, the Bernanke inks are a great choice for the classroom. Try them in a 2ml sample or grab a whole 3 oz. bottle. 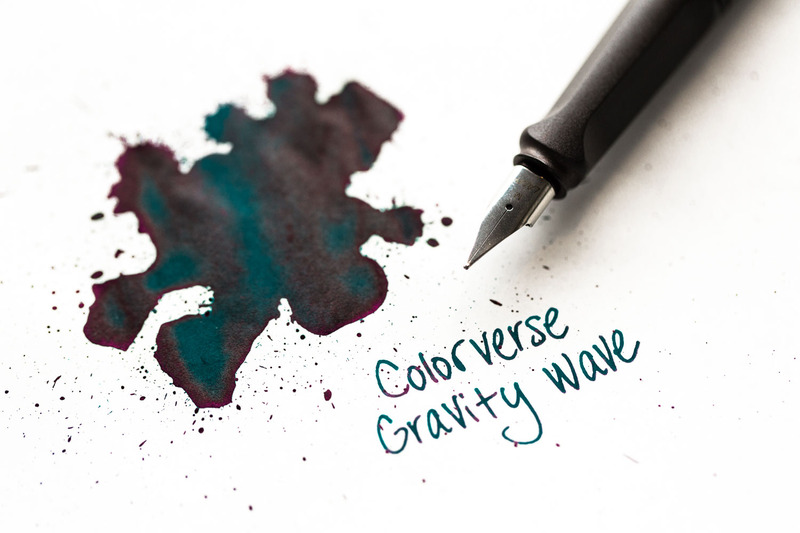 Perfect for students and teachers alike, Colorverse Gravity Wave is reserved enough for a notetaking ink but distinct enough to be a great grading ink. 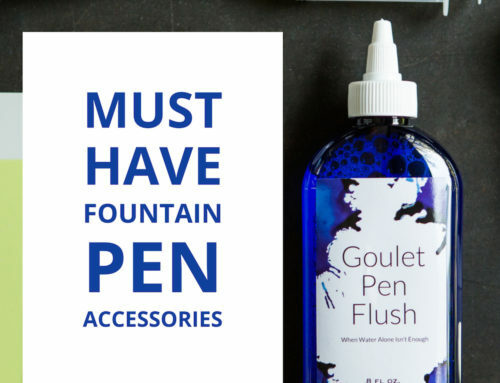 This two bottle ink set also provides the perfect opportunity to have one bottle of ink for keeping at home and smaller bottle that would be ideal to carry on the go for emergency refills. Pick up the 65ml +15ml bottle set or start with a 2ml sample. 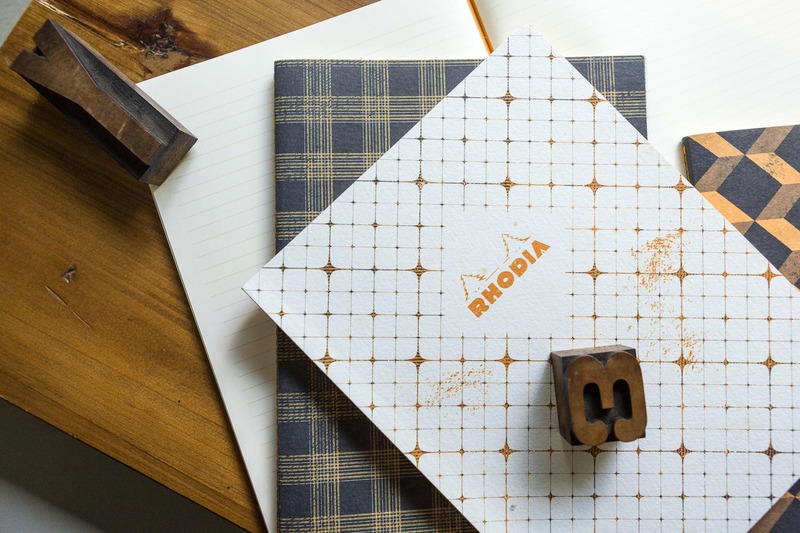 These notebooks have classic school style. 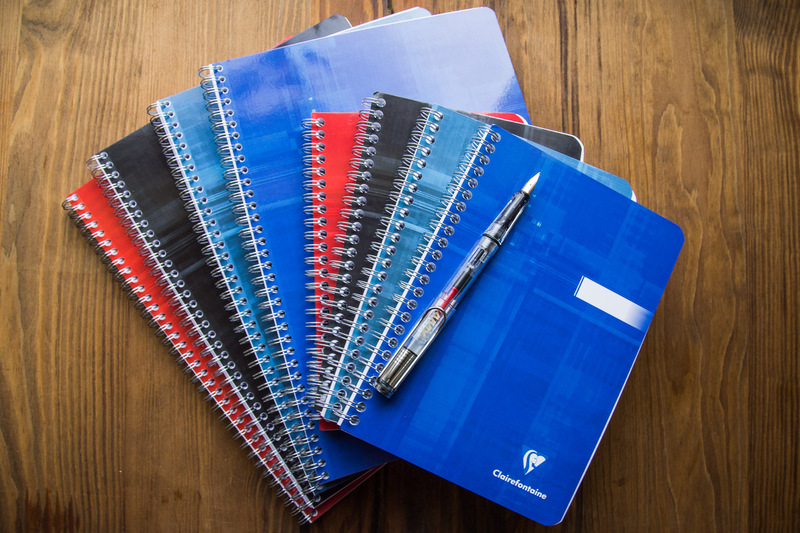 Whether you choose a graph or lined ruling, you can be sure you’ll enter the classroom with the sharpest looking notebook of the whole bunch. Their B5 size makes them a perfect blend between a standard notebook and a composition book and offers versatility for different uses. Be sure to check out all three distinct cover options and choose your preferred binding. 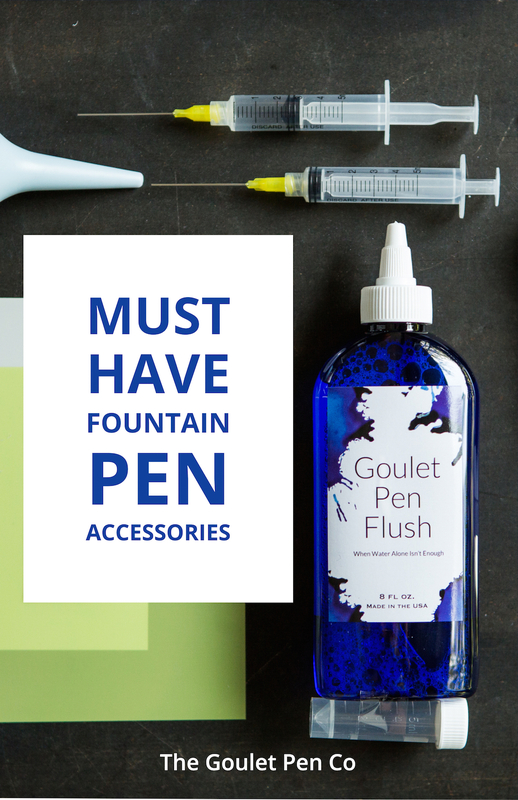 Even we have to admit that sometimes fountain pens just aren’t an option in the classroom. For those moments, we’ve got the perfect solution that still offers a chance to flaunt your style. 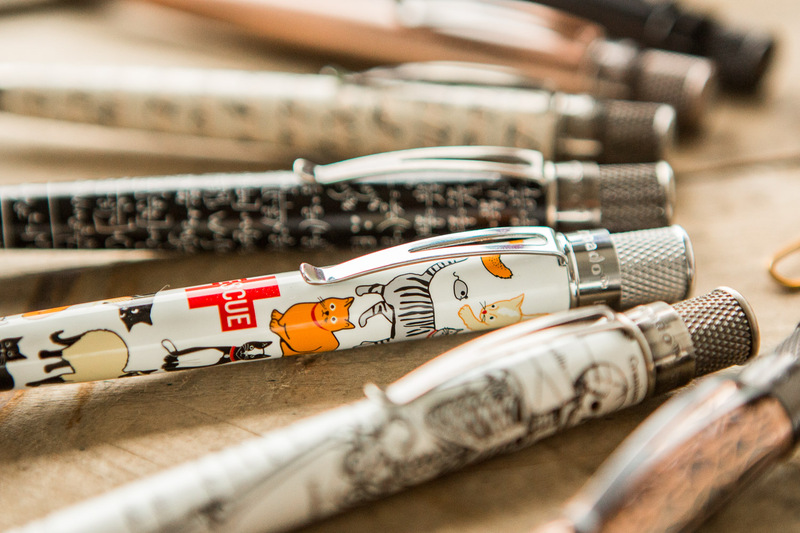 Enter the Retro51 Tornado Rollerball collection. 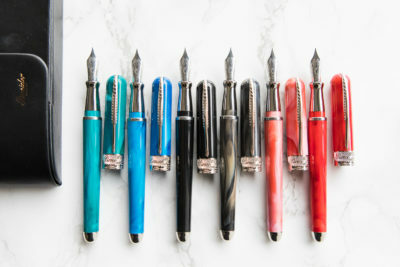 Goulet Pens now carries nearly a dozen different designs of these pens, as well as their refills. 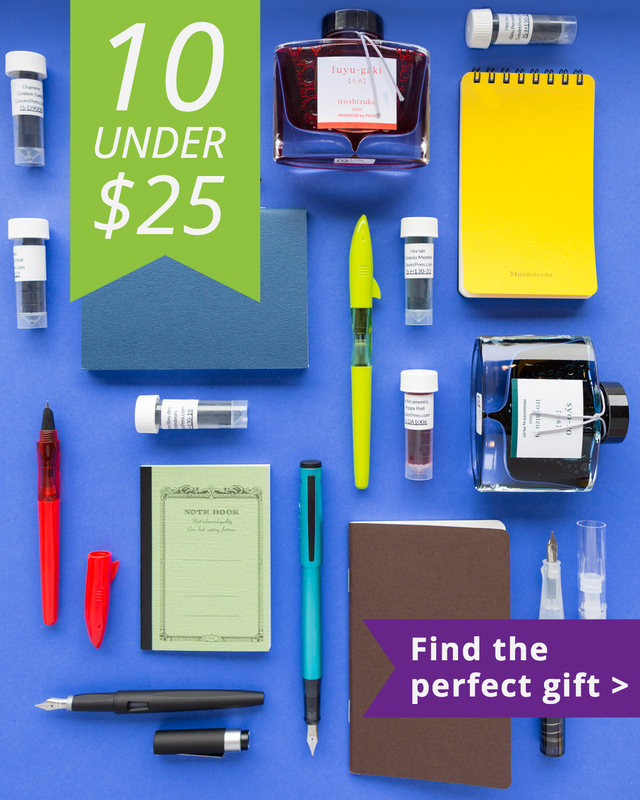 Snag a pen that suits your interest and stock up on refills so you can write up a storm. New to Goulet, this Diplomat pen is quickly joining the ranks of great beginner pen. The Magnum is offered in 4 color choices, includes a converter and standard international cartridge, and comes in at an affordable $20. 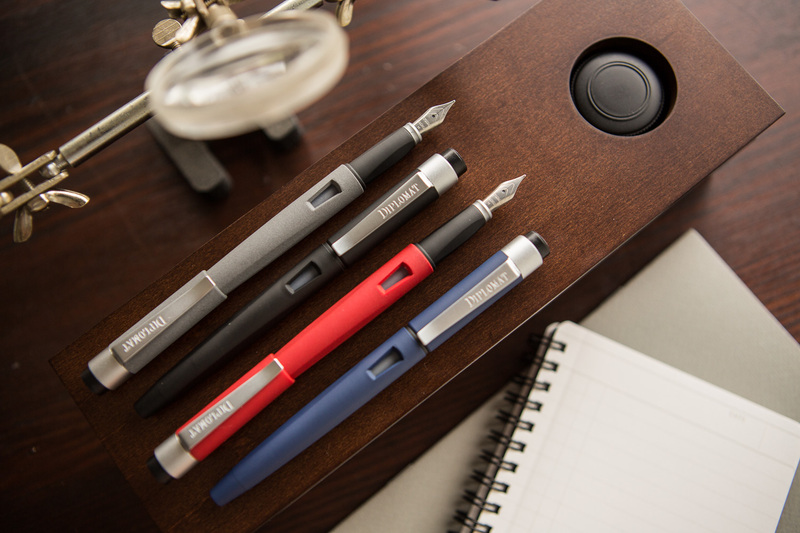 The smooth writing JoWo nibs makes notetaking a joy. You’ll definitely want to study this one further. What products are on your back-to-school shopping list?